Order crests, pins and name tags online! This challenge was designed by the members of the 2nd Moira Trefoil Guild for their sister Trefoil Guild members, as a tool to help with activity planning. The Ontario Trefoil Challenge gives members the opportunity to explore, experience, learn, share and have fun through the sisterhood of Guiding. Coming soon! This challenge was designed by Mona J., a 3rd-year Guide in the 2nd Ontario Lone Unit, as part of her Design Your Own Badge project. Mona’s challenge was inspired by the Bruce Trail, a hiking trail going 900 km along the length of the Niagara Escarpment in Ontario. Mona encourages every girl taking this challenge to find a trail in her community to have fun and explore nature. Congratulations to Sheri Campbell and the 2nd Meadowbrook Guides for submitting the winning 2018-2019 Sing Ontario Sing Challenge. This Guiding year, the theme is Around the World in 80 Songs. Congratulations to Kristen Hamilton and the 1st Huntsville Pathfinders for submitting the winning 2017-18 Sing Ontario Sing Challenge. They will be working hard to select songs and determine the criteria for the chosen theme "Celebrate Canada 150". 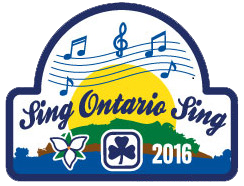 Congratulations to Sharon O'Connor and the 2nd Kanata North Rangers for submitting the winning 2016-2017 Sing Ontario Sing Challenge. They have worked hard to select songs and determine the criteria for their chosen theme. Experiencing the outdoors is an important part of the Guiding program. These activities aim to get units and girls outside throughout the year during regular meeting times. 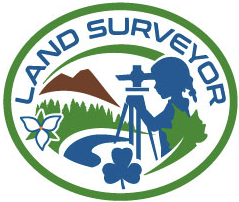 This challenge was developed in 2006 by Girl Guides of Canada, Ontario Council in partnership with Emergency Management Ontario and several other partners. The challenge encourages girls to "Be Prepared" for 72 hours in case of emergency. At every branch level, participants will learn in a fun and interactive manner to define, plan and gain skills to help them deal with emergencies.